Kate Wright is having nine bridesmaids at her wedding. 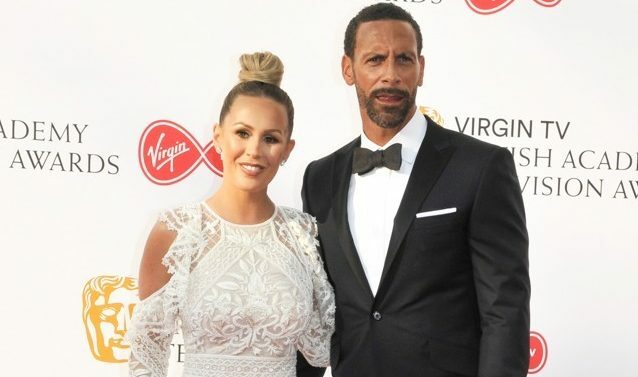 The 37-year-old former 'The Only Way is Essex' star has chosen her "favourite girls" to accompany her down the aisle when she weds her fiancé, former England soccer player Rio Ferdinand. Kate told the lucky group that she wanted them to play a major part at her nuptials by inviting them to join her for a meal at restaurant Lupo Bianco in Kent, Southern England, and then presenting each of them with their own bouquet of flowers, candles, personalised pouches and poems asking them to be a bridesmaid. Posting on her Instagram account, she revealed: "What a special day ... the day I asked my favourite girls to be my bridesmaids. The most perfect day in every way, overwhelmed with emotion love you all to bits." She followed it up with another post: "I had a vision of just how I wanted it to be& it was just absolutely perfect. Thank you to... @hadesignsltd & @h.a.flor for the absolutely beautiful flowers & personalised pouches. @essexloveletters for my flower wall, centrepieces & doughnut wall. The most perfect day in every way, overwhelmed with emotion love you all to bits. "@worditrhyme for the poems, I gave them 10 facts about each of the girls and they made the most special poems .. we were all in tears! @tors_shimmeringsponges for the beautiful cakes." Kate and Rio, 40, announced their engagement last November. The ex-Manchester United defender proposed on the rooftop of the St. Regis Hotel as his three children, Lorenz, 11, Tate, nine and Tia, seven, looked on during a family holiday together in Abu Dhabi. The couple started officially dating in 2017 and their relationship blossomed as Rio tried to rebuild his life following the tragic death of his wife Rebecca Ellison at the age of just 34 due to breast cancer. Speaking previously about their romance to You Magazine, Kate admitted she and the soccer pundit "just clicked" straight away. She said: "Rio and I just clicked. I knew about the children and what had happened but at first I didn't give it much thought. When you meet someone you're just enjoying the moment, not thinking about how serious things might become. "I fell in love with Rio, then I met the kids and fell in love with them. I realised, 'Wow, my life is going to change.' I couldn't be part of his life and not part of theirs. I knew it would be a challenge, but if you love someone you go with it and deal with the difficult stuff." How many bridesmaids did you have? Leave us a comment on our Facebook page @EntertainmentDailyFix and let us know what you think!